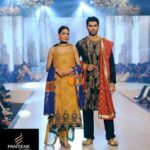 In this bundle you will firstly going to catch up with Faisal Qureshi and Aijaz Aslam seeing that as the show stopper at Pantene Bridal Couture Week 2014 Karachi. 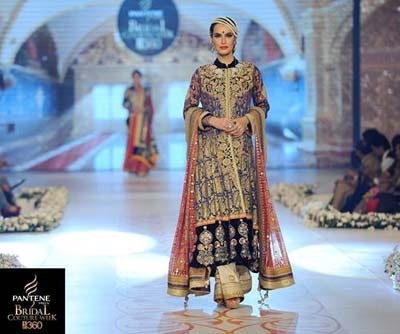 In this picture we will have the famous model Ayyan Ali who is showing the dress as intended by Tabassum Mughal. The next picture even belongs to Ayyan Ali as well in Tabssum Mughal outfit. In the next we have the dance performance pictures of famous actress Noor and Hassan Rizvi at Day 3.